The print reference (REF) sources can be found on the main level of the Wolfgram Memorial Library in the Reference Area, all non-reference books can be found on the third floor. Ask a reference librarian if you need help locating an item. 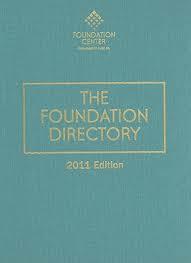 The Foundation directory. by New York, Foundation Center; distributed by Columbia University Press. An independent organization that maintains a collection of information on grants. A searchable database of foundations is also included. Provides information about the Council and also describes the types of foundations, funding information for grant seekers as well as links to various Council members home pages and other related sites. Provides information about the Pew Charitable Trusts programs. Program guidelines, application procedures, grant lists, and telephone numbers and e-mail addresses for staff members are also included. Lists general information about the Carnegie Foundation and describes some programs it currently supports. Information for and about nonprofit organizations. 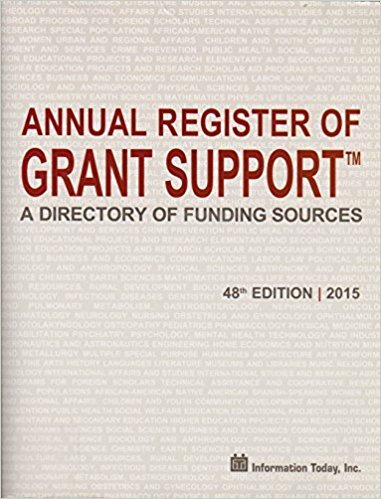 This compilation focuses primarily on grants or funding sources for nonprofit organizations. A few categories (marked with an asterisk) are also of interest to individuals. Information on government grant programs. Compendium of all federally sponsored programs, projects, services, and activities which provide assistance or benefits to the American public. This site serves as a tool for finding and exchanging information about United States Department of Health and Human Services and selected other Federal grant programs. Includes funding announcements for federally sponsored programs. This site allows users to search the Federal Register by date, subject or by agency. "Connecting the nonprofit world with news, jobs, and idea."